Separate the leaves of the kale from the stems. Discard the stems and finely chop the leaves. Finely chop the dill and basil. Combine all ingredients in a bowl, and stir to thoroughly combine. Cover and chill in the refrigerator for at least one hour to allow the flavors to meld. 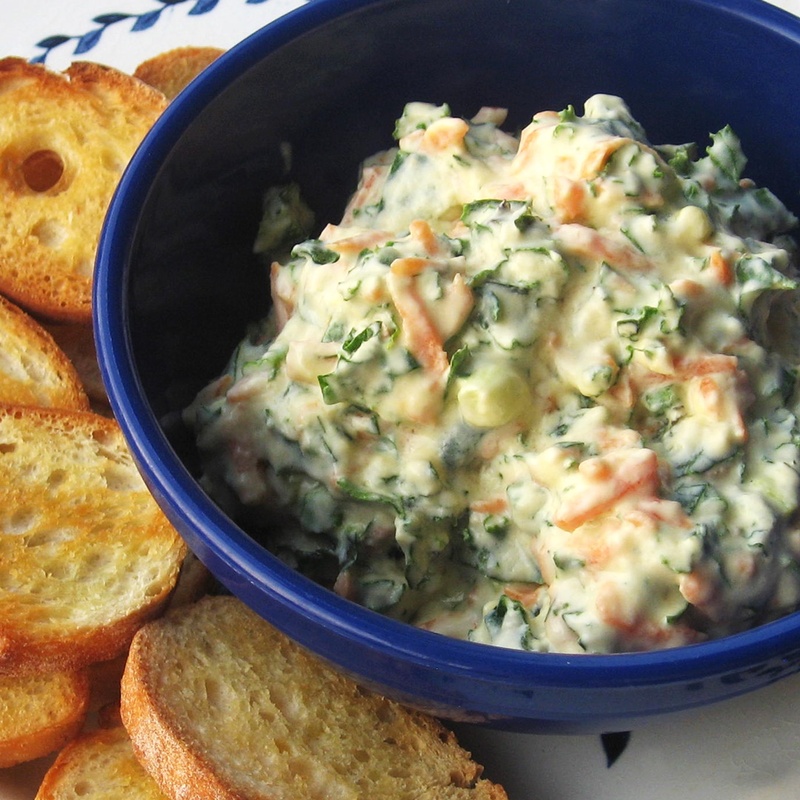 Serve with crackers, chips, or veggie sticks.